On April 6, 1941, Germany, Italy, Hungary, and Bulgaria invaded Yugoslavia and subsequently dismembered the Balkan nation into a Greater Croatia and a Greater Albania. On April 10, 1941, Slavko Kvaternik proclaimed the Independent State of Croatia (Nezavisna Drzava Hrvatska, NDH), which was a Greater Croatia consisting of Croatia, Bosnia-Hercegovina, and Serbian territory. In fact, the NDH was recognized and created by Adolf Hitler and Benito Mussolini and was a Nazi satellite or puppet state. The NDH was not a viable state. It was propped up by a German military occupation. The President of the NDH Nazi-fascist state was Poglavnik Ante Pavelic, who was born in Bradina, Bosnia-Hercegovina. The Vice-President, from November, 1941 to April, 1945, was Bosnian Muslim Dzafer Kulenovic, born in Bihac, Bosnia-Hercegovina. The Minister of the Interior was Andrija Artukovic, born in Ljubuski, Bosnia-Hercegovina. The top leaders of the NDH were thus not from Croatia proper, but were all Bosnians from Bosnia-Hercegovina. This is a fact that has been overlooked in any analysis of the NDH. This fact is crucial, however, in understanding what occurred in Bosnia during World War II. Being Bosnians, Pavelic and Artukovic were determined to create a Greater Croatia, Velika Hrvatska, which would include all of Bosnia-Hercegovina. War criminal Francetic Jure, the commander of The Black Legion. The problem was that the largest ethnic and religious group in Bosnia-Hercegovina was the Serbian Orthodox population. The Roman Catholic Croat population was a small minority in Bosnia, settled primarily in western Hecegovina. How could Pavelic and Artukovic argue for a Greater Croatia which would include Bosnia-Hercegovina when Croats were a minority in Bosnia? The way this was achieved was to argue that the Bosnian Muslim population was ethnically Croatian. The Bosnian Muslims were ethnic Croats who had converted to Islam according to the NDH leadership. To be sure, some Bosnian Muslims were the descendants of Croats who had converted to Islam. The Ustasha regime, however, recognized all Bosnian Muslims as Croats. This was the basis for the creation of a Greater Croatia. The problem with this rationale was that the Bosnian Muslims had their own Muslim identity in Bosnia. Moreover, many were descendants of Serbs who had converted to Islam. The NDH had a population of approximately 6,300,000. Approximately 3,300,000 were Croats, 2 million were Serbs, 700,000 were Bosnian Muslims, and 300,000 were other groups such as Jews and Roma. The problem in the creation of a Greater Croatia was the presence of a large Serbian population in the NDH. What was the solution? The NDH leadership, made up of Croats and Bosnian Muslims, sought to get rid of the Serbian Orthodox population by a systematic and planned genocide. This is a salient fact in the history of Greater Croatia that is overlooked by historians. The NDH government policy of genocide against the Serbian population was officially announced by Mile Budak, the Minister of Education, Religion, and Culture in the NDH. Budak was the Doglavnik, or deputy leader, of the NDH. One-third of the Serbs we shall kill, another we shall deport, and the last we shall force to embrace the Roman Catholic religion and thus melt them into Croats. This is now the Ustashi and Independent State of Croatia. It must be cleansed of Serbs and Jews. There is no room for any of them here. Not a stone upon a stone will remain of what once belonged to them. Several hundred thousand Serbs were murdered in Bosnia-Hercegovina alone, 240,000 were forcefully converted to Roman Catholicism, and 300,000 were deported, most fleeing as refugees to Serbia. Neubacher’s recollections corroborate the Ustasha policy of genocide, which consisted of killing a third, deporting a third, and converting a third of the Serbian population of Greater Croatia, the NDH. 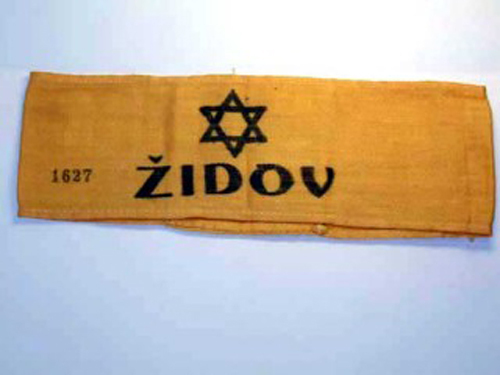 Jews were forced to wear a yellow arm band with the Star of David and the letter “Z” for Zidov, the Croatian word for Jew. The NDH also forced Jews to wear a large yellow band on their backs. The NDH murdered an estimated 30,000 Jews, 80% of the pre-war Jewish population of 14,000 in Bosnia-Hercegovina, and 23,000 in Croatia. The number of Roma killed is estimated at 29,000. The Serbian population found itself de-recognized and subjected to a systematic genocide conducted by Croats and Bosnian Muslims. Serbs were not even referred to as Serbs in the NDH. Serbs became “grkoistocnjaka”, Greek easterners, and “bivshi Srbi”, former or ex-Serbs. The genocide in Bosnia against the Serbian population was unprecedented during World War II for its brutality and savagery. It became an unknown and forgotten genocide in the so-called West. It was coverer-up following the war. This program of mass slaughter and genocide resulted in a widespread resistance by the Serbian population. Genocide led to civil war. The German and Italian military occupation of the NDH was forced to deploy troops to the NDH and to engage in a counterinsurgency guerrilla war. The Croatian leaders sought to suppress the Serbian resistance to genocide by establishing Ustasha military forces to put down the Serbian insurrections in Bosnia-Hercegocina. One such unit that was formed in Sarajevo was the 1st Ustasha Regiment, known as The Black Legion or Crna Legija, made up of Croats and Bosnian Muslims. The Regiment murdered thousands of Serbian civilians and POWs in Bosnia. The Black Legion was crucial in carrying out the genocide against the Serbian population in Bosnia-Hercegovina during World War II. The systematic genocide conducted against the Serbian population of Bosnia-Hercegovina by Croats and Bosnian Muslims in 1941 led to a widespread Serbian resistance campaign that threatened the NDH. Serbian guerrillas took control of towns and cities in eastern Bosnia such as Srebrenica, Vlasenica, Kravica, and Rogatica. The NDH Ustasha occupation forces consisting mainly of Bosnian Muslims were driven out. The German military occupation of the NDH was thereby endangered. The response was to form Croatian/Bosnian Muslim military units to retake the towns and cities in eastern Bosnia seized by the Serbian guerrillas. These Croatian units would be used in German and Italian military counterinsurgency operations. The 1st Ustasha Regiment was formed for this purpose. The 1st Ustasha Regiment was formed in Sarajevo in Bosnia-Hercegovina in September, 1941 by Jure Francetic and Ante Vokic. Vokic would later form a company of the 2nd regiment of the Ustasha Military Railroad. The Regiment was made up from the units of the Sarajevo Ustasha Camp, which had initially been formed and led by Becir Lokmic. Jure Francetic took over the command of the Sarajevo Ustasha Camp after the death of Lokmic. The Regiment originally consisted of 800 men, Roman Catholic Croats and Bosnian Muslims. The commander of the newly-formed Regiment was Ustasha Colonel Jure Francetic, while Ustasha Major Rafael Boban was the deputy commander. The Regiment was initially formed to combat the Serbian guerrillas in eastern Bosnia under the command of General Draza Mihailovich, known as Chetniks. Following the massacres of Serbian civilians by Croat and Bosnian Muslim Ustasha troops in eastern Bosnia, the Serbian population launched a resistance campaign. The Serbian guerrillas were able to retake eastern Bosnia and to drive the Croat/Bosnian Muslim Ustasha forces from Srebrenica, Vlasenica, Rogatica, and Kravica. The Ustasha Regiment would also fight against Serbian guerrillas in the Communist Partisan units. The Regiment became known as “The Black Legion” or “Crna Legija” because the troops in it wore black uniforms. Ustasha troops had normally worn the Italian light blue tropical uniforms. There are two explanations for the black color of the uniforms. One explanation is that Roman Catholic priests gave them the black material which was customarily used for priest’s attire. Another explanation is that they sought to imitate or mimic the black uniforms of the German Nazi SS troops. By December, 1941, the Regiment consisted of approximately 1,500 men organized in 3 to 4 battalions or bojna. The Black Legion was one of the most fanatical and zealous formations of World War II, developing a reputation for brutality and ruthlessness. The Legion became notorious for the mass murders, executions, and mass deportations of Serbs, Jews, and Communists during the war. The Legion committed war crimes and genocide against the Serbian population of Bosnia. Thousands of Serbian civilians were massacred by The Black Legion under the NDH government policy to “kill a third” of the Serbian population. The Black Legion also summarily executed Serbian POWs, Serbian Chetnik guerrillas and Partisan POWs. Under current international law, The Black Legion would be guilty of genocide and war crimes against the Serbian population of Bosnia-Hercegovina. Even the German occupation authorities in the NDH complained about the genocide against the Serbian population which led to widespread resistance that endangered the German military occupation of the NDH and which forced the Germans to launch counter-insurgency campaigns that were costing German lives and leading to high German casualty rates. The Croat regular army, Home Guard (Domobran), and Ustasha units were militarily worthless against the Serbian guerrilla forces and Partisan units. By massacring entire Serbian villages and towns in Bosnia, the NDH forces only increased resistance while destabilizing the German/Italian military occupation. Indeed, the Croat regular army, the Domobran (Home Guard), and the Ustasha formations were militarily defeated in eastern Bosnia and driven out. This abysmal military performance of Croat and Bosnian Muslim troops resulted in a Croat military disaster and was what led to the formation of The Black Legion in the first place. But most importantly, the counterinsurgency offensives against the Serbian guerrillas were organized and under the command and control of German military commanders. The Croat and Muslim forces were merely expendable cannon fodder or shock troops in these German offensives against the Serbs. The Germans all but conceded that the Croat and Bosnian Muslim troops were worthless and useless against the Serbian guerrillas. This is a fact that is ignored or neglected in any analysis of the guerrilla and civil war in Bosnia during World War II. The Italian occupation army in the NDH had effectively all but renounced the NDH Ustasha regime and its campaign of genocide against the Serbian, Jewish, and Roma populations of Bosnia. Serbian guerrilla forces had crossed the Drina River between Bijeljina and Zvornik in August, 1941. Serbian Chetnik units had taken control of the area southeast and northeast of Sarajevo in the Romanija and Javor Mountains. In September, 1941, Serbian guerrillas engaged in sabotage actions that focused on disrupting railroad traffic west of Zvornik and on the Tuzla-Doboj road. In October, the Serbian guerrillas surrounded and cut off the Croat/Bosnian Muslim occupation garrisons in Zvornik, Rogatica and Visegrad in southeastern Bosnia. On October 21st, the Serbian guerrilla forces defeated the Croat/Bosnian Muslim troops in Rogatica and took the town. The Black Legion participated in the German counter-insurgency campaigns, the First, Second, and Third Offensives, in eastern Bosnia and southern Hecegovina, operating in the Bugojno, Donji Vakuf, and Kupres areas of Bosnia. A battalion of the Regiment was involved in the defense of Bugojno in July, 1942. Two battalions successfully engaged in the defense of Kupres in August, 1942 when it was attacked by Partisan troops. By the end of 1941, the number of Ustasha military units consisted of fifteen combat battalions and two service battalions made up of 10,000 men. The Croatian regular army consisted of 32,000 men, with an additional 10,000 in auxiliary formations such as the Home Guard (Domobranci), Railroad Security, and support battalions made up of three replacement battalions, a medical battalion, and a construction battalion. These units had a very limited combat capability. They were poorly equipped, lacking in artillery, tanks, and mortars. They lacked trucks and other transport vehicles. The Croat formations wore captured French uniforms and helmets that the Germans donated to them. They also wore former Yugoslav Army uniforms, Czech uniforms, and World War I M16 Austrian helmets. The Ustasha units initially wore Italian light blue tropical uniforms. Bosnian Muslims in the NDH forces wore red fezzes with a tassel as they had done in the Austro-Hungarian army. The fezzes had an NDH Ustasha badge in the front. The Ottoman Turkish fez was outlawed in 1925 by Mustafa Kemal Pasha Ataturk and thus was an anomaly and an anachronistic vestige in Europe. Nevertheless, the Bosnian Muslim population continued to wear a fez which became part of their military uniforms. The Croatian army was divided into five divisional regions: the Sava Divisional Region based in Zagreb, the Osijek Divisional Region, the Bosnia Divisional Region based in Sarajevo, the Vrbas Divisional Region based in Banja Luka, and the Jadran Divisional Region based in Mostar. The Croat armed forces of the NDH were divided into the regular army, the standing army units such as the “Zagreb” Cavalry Regiments and the Motorized Infantry Battalions, the Domobran or Home Guard units with a headquarters in Sarajevo, and Ustasha units, such as the Black Legion, the 1st Ustasha Regiment. Jure Francetic was born on July 3, 1912, in Prozor, Bosnia-Hercegovina. He went to high school in Krizevci where he graduated in 1931. He traveled to Austria and Italy in March, 1933. In 1934 he became the deputy commander of the Janko-Pusta Ustasha terrorist training camp in Hungary. He was a Ustasha captain and worked under Vjekoslav Servatzy. He returned to Zagreb to work on behalf of the Ustasha but was arrested in 1940 by the Yugoslav government and sentenced to prison. He thereafter escaped to Germany. After the German invasion of Yugoslavia in 1941, he returned with Ante Pavelic to form the NDH regime. He was appointed a Ustasha governor in Bosnia-Hercegovina, his birthplace. He set up Ustasha military and police units in Sarajevo with Ante Vokic. Following the death of Becir Lokmic, Francetic assumed the command of the units of the Sarajevo Ustasha Camp. These units then became the core of The Black Legion. He was subsequently promoted to lieutenant colonel. During Operation Trio, The Black Legion was part of the joint German-Italian-Croatian assault that took eastern Bosnia. He sent a telegram to Ante Pavelic on April 10, 1942, from eastern Bosnia informing him that Croat forces had taken control of eastern Bosnia at the Drina River. He was promoted to Ustasha colonel following the Kupres and Bugojno engagements in July, 1942. In September, 1942, he escorted Ante Pavelic when he met Adolf Hitler. Francetic went with Pavelic to the town of Golubinskaya outside of Stalingrad in the Soviet Union when Pavelic addressed the Croatian troops in the Hrvatska Legija or the Croatian Legion, the 369th Reinforced Croatian Infantry Regiment which was part of the German 6th Army attacking Stalingrad, one of the decisive engagements of World War II. Pavelic spoke to the Croat and Bosnian Muslim troops and awarded them medals before the assault on Stalingrad began. In March, 1942, The Black Legion was planned as a spearhead of the German Battle Group (Kampfgruppe) Bader, a joint coordinated attack on Serbian guerrillas in eastern Bosnia called Operation Trio. At the beginning of 1942, Serbian guerrillas controlled three sectors in Bosnia-Hercegovina and Croatia proper: 1) the area near Banja Luka around the Kozara Mountains; 2) the Petrova Gora Mountains south of Karlovac; and, 3) the area in eastern Bosnian between the Bosna and Drina Rivers. On March 2nd and 3rd, 1942, a conference was held by representatives of the German, Italian, Croatian NDH military commands in the Balkans, and the military commander in Serbia, Paul Bader, in Opatija on the Dalmatian coast. The purpose of the conference was to organize a joint coordinated offensive against Serbian guerrillas in eastern Bosnia. General der Pioniere Walter Kuntze, German military commander in Serbia, General der Artillerie Paul Bader, the German General for liaison at the Italian general staff, Enno Rintelen, Chief of the Italian Army general staff, General Vittorio Ambrosio, commander of the 2nd Italian Army, Mario Roatta, Italian General Antonio Gandin of the Italian Supreme Command, General Edmund von Gleise Horstenau, the German General in Zagreb, and the Chief of Staff of the Croatian Home Defense, Vladimir Laxa. Laxa had been the Commanding Officer of the 18th Austro-Hungarian Mountain Brigade in Italy in 1917 during World War I. This was the first major coordination of forces by the German, Italian, and Croatian forces against the Serbian guerrillas and the Communists Partisans. They sought to put down the uprisings in the autumn of 1941 and during the winter of 1941/1942. The insurrections and uprisings were primarily in the Serbian areas of eastern Bosnia, Montenegro, Bosnian Krajina, and Croatia. The agreement reached on March 3rd for Operation Trio stated that the purpose of the joint German-Italian-Croat operation was to achieve the “final mopping up of the insurgents in Croatia.” General Roatta was to take command of the operations when the units reached the starting off points and was to assume unified command of the operations. The available troops will be committed first in East Bosnia. Later the operation will extend in a northwesterly direction. The operational plan will be agreed upon by the Commander in Chief of the 2nd Italian Army and with General Bader. General Bader will be subordinated to the High Command of the Italian 2nd Army and lead the operation himself. For this purpose the Italian-German-Croatian army units intended for the operation are subordinate to him. After the “pacification” of the Serbian population, the civilian administration of the region would be handed over to Croatian authorities. The signatories to the agreement pledged not to negotiate either with the Serbian Chetnik guerrilla forces or the Partisans. Near the end of the month of March, the Italians convinced the German and Croat leaders to focus on a single guerrilla force at a time. Operation Trio first concentrated on attacking the Serbian Chetnik guerrillas in eastern Bosnia. The Axis Order of Battle for Operation Trio was as follows: German units were the 718th Infantry Division, the 3rd Battalion of the 737th Regiment from the 717th Infantry Division. The Italian formations were: 1) the 1st Mountain Division “Taurinense”, 2) the 5th Mountain Division “Pusteria”, and 3) the 22nd Infantry Division “Cacciatori delle Alpi”. The NDH Croatian units in the operation were the Ustasha “Black Legion”, with three battalions and Home Guard Battalions. [I]n general the attack and resistance capacity of the Croatian soldier fell from week to week. Offensive operations remained static as a rule after the first attack, defensive battles ended in panic… Military discipline also left much to be desired. Insubordination, mutiny, and desertion increased. All this reflected weariness and lack of training, but also the refusal to engage in a struggle regarded, in wide circles of the Croatian people, as a civil war whose outbreak and expansion was blamed on the fury of the hated Ustashe. The Ustasha genocide against the Serbian population thus resulted in the civil war. Moreover, the Ustasha movement was always a minority movement led by extremist elements and never was accepted by the Croatian majority population. As Horstenau observed, the Ustasha were increasingly being blamed for the bloodshed and war in Bosnia-Hercegovina and Croatia. Even at that time, the Ustasha was disparaged by the German military authorities and even many Croats themselves. Moreover, the 300,000 Serbian refugees deported and fleeing from Bosnia-Hercegovina and Croatia were destabilizing the German occupation of Serbia. As the Croatian military situation deteriorated, additional German troops had to be deployed into the German zone of interest. Serbian guerrilla activity in eastern Bosnia was threatening the stability of the German occupation and undermining the NDH regime. In October, 1941, the Germans sent five Landschuetzen or Regional Defense Battalions to reinforce and to stabilize the military situation and to raise the declining morale of NDH troops. The 447the Battalion was stationed in Sarajevo, the 924th in Doboj, the 823rd in Banja Luka, the 923rd in Sisak, and the 925th in Zagreb. These battalions were made up of older age German reservists. The German divisions were also under-strength, consisting of two infantry regiments instead of the customary three. The Germans thus needed Croat and Italian manpower. The Italian Second Army pursued an occupation policy that focused on controlling strategically important transportation and communication centers. The three Italian “operational zones” were garrisoned by 200 battalions: Zone I had 80 battalions, Zone II had 100 battalions, and Zone III had 20 battalions. The German forces, however, were determined to clear the NDH of Serbian guerrillas, the Chetnik forces and the Communist partisan forces. The German plan was to go after the guerrillas in their redoubts and to encircle and annihilate them by driving them into the Italian forces in the Italian zone of interest. The anti-guerrilla operation was launched on January 15th and lasted until the 26th, 1942. The winter weather was more advantageous for the Axis forces, who were better clothed and equipped for the cold climate. The Germans employed the 342nd and 718th Infantry Divisions along with Croat formations including the Black Legion. The 342nd Infantry Division was transferred to the Russian Front after this anti-guerrilla offensive. There were 4,000 Serbian guerrillas in the Romanija mountains 15 miles east of Sarajevo and in the Visegrad region in eastern Bosnia. Jure Francetic was accused of personally ordering the murders of 3,000 Serbian civilians in the Romanija Mountains east of Sarajevo during this engagement. The Germans suffered 25 killed and 131 wounded. The Germans reported that 521 guerrillas were killed and 1, 331 POWs were taken and the seizure of 855 rifles, 22 machine guns. 4 field pieces, 600 head of livestock, and 33 draft animals. The Italian forces did not arrive in time to prevent the guerrillas from retreating to the Italian zone of interest. German commanders who evaluated the Croat military forces found that Croat troops could only perform satisfactorily if they were integrated with German forces and concluded that Croat officers and noncommissioned officers did not have adequate training or tactical ability. The operation was a tactical success but a strategic failure because the Serbian guerrillas were able to escape the encirclement en masse. The escape and retreat of the Serbian guerrillas convinced Kunzte that a coordinated and combined command of the Axis forces would be needed. During the operation, Italian aircraft engaged in friendly fire by attacking a German-held village by mistake. Croatian units were only effective when under German command and control. Another mistake was sending Ustasha formations into Serbian majority areas of Bosnia which only provoked resistance and counter-attacks. 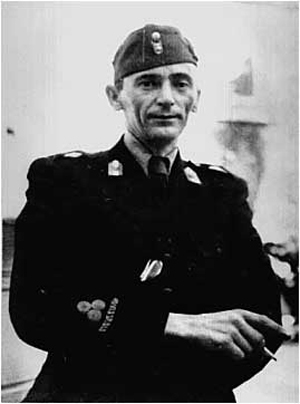 Kuntze made a trip to Adolf Hitler’s headquarters and to Italy to obtain agreement for a combined German-Italian-Croatian operation in eastern Bosnia to drive out the Serbian guerrillas who had taken over the area. General Paul Bader was named the task force commander of this first major joint Axis anti-guerrilla operation. At the time, Bader was the commander of all German forces and the administrative area in Serbia. Bader was put under the operational control of the Italian Second Army. Operation Trio lasted from April 20 to May 3, 1942. According to German records, 168 guerrillas were killed, 1,309 POWs taken and weapons, equipment, and ammunition were seized. The Germans regarded the operation as a success but the Serbian guerrillas again were able to retreat into the Italian zone of interest and escape. Operation Trio was a tactical success but a strategic failure. Moreover, the Italian Second Army withdrew their garrisons along the German-Italian demarcation line in Bosnia. Serbian guerrillas then retook these abandoned areas in Bosnia. Task Force Bader was disbanded after the operation. Bader then returned to his command in Serbia. He was not a military genius. He did not have basic military knowledge and military education, nor did he have any talent for basic military organization. However, he was an ideal man for fighting in Bosnian mountains, especially when Rafo Boban, a born guerrilla and a son of our mountainous Hercegovina, was at his side. Both of them were actually amateurs as far as military matters were concerned, but suitable for improvisation that we needed at the time. A major military defeat of The Black Legion occurred during the German assault on Vlasenica. Francetic disobeyed the orders of the German commander and threw his units into a blind headlong attack on Serbian Chetnik guerrilla units stationed in Vlasenica. The Serbian guerrillas, reinforced by troops from Serbia led by Major Jezdimir Dangic, were able to defeat the Black Legion and to drive it out of Vlasenica. This engagement showed that The Black Legion was no match for Serbian guerrilla troops when the formation fought at roughly even strength and without German support and command. The German plan was to encircle Serbian guerrilla units by using elements of the German 718th German Line of Communications Division. The Germans planned to use The Black Legion in the Han Pijesak-Podzeplje region of eastern Bosnia to block off the retreat of Serbian forces. Jure Francetic, who was promoted to Lieutenant-Colonel at this time, was ordered to reach the Han Pijesak-Podzeplje region by April 20. Faced with overwhelming superiority in numbers and equipment, the Serbian guerrilla units began withdrawing from the region east of Rogatica, moving to the south and southeast. The Black Legion took Bratunac on April 10th and Srebrenica on April 11th. Like the earlier Axis offensives against the Serbian guerrillas, while they achieved tactical success, they were strategically failures because the guerrillas were able to withdraw and regroup. On April 10, 1942, Francetic is reported to have sent Pavelic a telegram and a bottle with water from the Drina River announcing that he had secured the eastern borders of Greater Croatia. The goal was to eliminate the Serbian population of eastern Bosnia and to drive the remaining Serbs across the Drina River into Serbia. Eastern Bosnia remained a battleground, however, during the remainder of the war. Towns and cities such as Srebrenica and Kravica changed hands several times. The Black Legion took Srebrenica on April 11, 1942 when the Serbian guerrillas withdrew from the area. The Bosnian Muslim troops in The Black Legion massacred Serbian civilians who remained in the Srebrenica region and burned down and looted Serbian villages. Brezani, Turija, Podravno, and all the Serbian villages around Bratunac were burned down and the remaining Serbian population was massacred. Most of the Serbian population fled Srebrenica by crossing the Drina River into Serbia. Srebrenica lies west of the Drina River separating Bosnia from Serbia in the mountains of eastern Bosnia. Srebrenica emerged as a silver mining town. The name comes from the Serbian word “srebro”, meaning silver, Silver Town. The town was known as Argentaria (from Latin “argentum”, silver) when the region was part of the Roman Empire. In 395 AD, following the death of Roman Emperor Theodosius, the Roman Empire was divided into East and West at the Drina River and ruled by his two sons, Honorius in the West and Arcadius in the East. The Eastern Empire was ruled under the Byzantine church from Constantinople while the Western Empire was ruled from Rome. This is how the division between East and West, between Orthodoxy and Roman Catholicism, emerged with the border at the Drina River between Bosnia and Serbia. During medieval Bosnian history, German miners from Saxony were brought in to develop the silver mines. These German settlers lived in the village of Sasi. Merchants from the city-state of Ragusa (now Dubrovnik) established a stake in the silver mining industry of Srebrenica. Serbian despot Djurdje Brankovic ruled Srebrenica twice during the fifteenth century. His Greek-born wife Jerina is credited with building the fortress outside of Srebrenica. When Srebrenica fell under Ottoman Turkish rule, the German and Ragusan miners and merchants gradually left Srebrenica. During this period, Serbian Orthodox sharecroppers became the majority population of Srebrenica. Srebrenica’s Serbian population joined in the 1804 uprising against the Ottoman Empire led by Kara Marko, or Black Marko. When the rebellion failed, he fled Srebrenica by crossing the Drina River into Serbia. The territory east of Srebrenica is referred to as Kara Marko’s Territory. During the nineteenth century, the feudal Muslim autocracy sought to preserve the status quo in Bosnia with reactionary policies. In the Serbian town of Kravica north of Srebrenica, the Muslim authorities prevented the Serbian Orthodox population from opening a school and restricted the size of the Orthodox Church to a small size meant to humiliate the Serbian population. The population of Kravica participated in the 1875 uprising of Bosnian Serbs against the feudal Bosnian landlords seeking to join the Srebrenica region to Serbia proper. In 1876, Serbia and Montenegro declared war against Ottoman Turkey, which was later joined by Russia. In 1878, when Bosnia was assigned to Austria-Hungary at the Congress of Berlin, many of the Serbian guerrillas returned to their homes from the forests around Srebrenica. They expected the Austro-Hungarian administration to reform agriculture and to abolish the feudal land system. The Austro-Hungarian occupation of Bosnia was rejected by Bosnian Serbs because Austria-Hungary failed to initiate any land reforms of the feudal land system and to modernize the agricultural sector. The feudal lands were not redistributed to the Serbian sharecroppers. The Austrians maintained the Ottoman Turkish feudal system and the status quo of the Ottoman Turkish system. Uprisings occurred in the Srebrenica region against Austrian tax collectors. Following the assassination of Archduke Franz Ferdinand in Sarajevo by Bosnian Serb Gavrilo Princip on June 28, 1914, Austria-Hungary declared war against Serbia, starting World War I. Major Kosta Todorovic of the Serbian army had recruited hundreds of Serbian volunteers in the Srebrenica area to engage in sabotage operations against the Austrian troops. They attacked police stations and garrisons in eastern Bosnia. On August 13, Austrian troops crossed the Drina north of Srebrenica and invaded Serbia from Bosnia. The Austrian offensive from Bosnia took Loznica on August 14 and Sabac on August 16. On August 19, the Serbian army defeated the Austrian forces at Sabac just east of the Drina River near the Bosnia-Serbia border. On August 22, Serbian forces retook Sabac and Loznica after destroying the Austrian forces on the Drina River. By August 25, the Austrian invasion of Serbia ended in total defeat as the Austrians were driven back into eastern Bosnia. In eastern Bosnia, Todorovic captured Srebrenica and the neighboring town of Bratunac which he held for several weeks. In late September, however, Todorovic and some of his men were taken prisoner after an engagement with Austrian troops. Todorovic was reportedly burned alive by the Austrians. The insurgency was suppressed in eastern Bosnia. The Austrian army then took collective punishment against the Serbian population of Srebrenica. Several dozen Serbian civilians, including women, were rounded up and summarily hanged without trial. About a hundred Serbian civilians were summarily executed while entire Serbian families were expelled to Serbia across the Drina River. Many Bosnian Serbs from the Srebrenica region were deported to “concentration camps” in Hungary. Hungarian troops and Muslim and Catholic paramilitaries were allowed to loot Serb-owned businesses and houses and allowed them to physically assault and murder Serbian civilians. The systematic and planned genocide of the Serbian population in eastern Bosnia, organized by Croats and Bosnian Muslims, forced the Serbian population to launch a resistance movement in the area. On August 8, 1941, Serbs from Kravica gathered around the Serbian Orthodox Church in Kravica and proclaimed an uprising by ringing the church bell in defiance. After two weeks of combat, the Serbian guerrillas linked up with the guerrilla forces of General Draza Mihailovich to drive out the Ustasha forces, both Croat and Bosnian Muslim, who had occupied the area. Serbian guerrillas had thus seized the entire Srebrenica region of eastern Bosnia. The Ustasha retaliated by sending punitive raids against Serbian villages where many Serbian civilians were massacred. These Croat and Bosniann Muslim massacres against Serbian civilians inevitably and ineluctably resulted in Serbian reprisals and retaliation. What resulted in eastern Bosnia was a civil war. Indeed, large areas of eastern Bosnia were now held by Serbian guerrillas. This is what led to the formation of the 1st Ustasha Brigade, the Black Legion or Crna Legija. The Black Legion was formed as a shock unit for the German Wehrmacht in the NDH. On July 25, 1941, the German forces were redeployed and power was turned over to the Ustasha civilian authority that also controlled the military. The IIIrd Domobran or Home Guard Infantry Battalion was stationed in Srebrenica. The IInd Home Guard Infantry Battalion was based in Drinjaca. The Ustasha in Srebrenica were recruited from the local Bosnian Muslim population. When the German forces left, 45 Serbian civilians from Srebrenica were immediately jailed and spent two months in prison where they were beaten. They were later sent to Germany as forced laborers. The Serbian Orthodox Church in Srebrenica, built in 1937, was taken over by the Croat forces and was used as a command post. In the parochial region of Srebrenica there was a population of approximately 3,700 Orthodox Serbs. A monument/statue to Major Kosta Todorovic was demolished on orders of the Croat Ustasha authorities. The Ustasha made the Serbs of Srebrenica destroy the statue themselves, but one Serb was able to take the inscribed slabs of polished marble and hide them in Kara Marko’s Territory east of Srebrenica. According to the testimony of Dragan Jolovic, a Serbian Orthodox priest in Srebrenica, part of the Srebrenica district, in the eparchy of Zvornik-Tuzla, the Croat/Bosnian Muslim Ustasha forces killed Dusan Bobar, a Serbian Orthodox priest from Vlasenica, Milos Savic, a priest from Milici, the priest Dragomir Maskijevic, Ljubomir Jaksic, a priest in Han Pijesak, and the priest Janko Savic, a priest in Knezine. The Ustasha closed the Serbian Orthodox Church in Kravica while executing the Serbian Orthodox priest and the schoolteacher in the nearby woods. The Ustasha threatened to summarily execute the entire Serbian population of the town. Following Operation Trio by the Black Legion in April/May, 1942, the entire population of Kravica either fled or was killed. There were not any Serbs left in Kravica. By July 5, 1943, Partisan assaults led by the 1st “Proletarian” Division took Srebrenica. The Ustasha forces retook Srebrenica, however, three days later. The Ustasha then engaged in revenge killings by massacring scores of Serbian civilians. Marta Vasic was killed, along with her daughter Zora and her five children. Ustasha forces massacred Serbian civilians in nearby villages. On July 3, 1944, at least a hundred Serbian civilians from Kravica were murdered by Ustasha forces. About half were burned alive in a single house in Kravica. According to Srbislav Blazic, who was a priest in Kravica at the time, when Croat forces occupied the area, he and three other priests were imprisoned in a military jail in Drinjaca. Orthodox Church services were forbidden. Ustasha forces searched the towns and villages, robbing and looting Serbian property. They also committed rapes. On May 11, 1941, the Croat command told Srbislav Blazic that he had “three days to leave the territory”. He fled to Serbia the following day. According to Blazic, in the Kravica district outside of Srebrenica, the population was 80% Serbian Orthodox, and 20% Bosnian Muslim. There were no Croat settlements in eastern Bosnia. The Ustasha murdered eight prominent Serbs near Drinjaca, the seat of the Croat command, in the forest of Rasica Gaj near Vlasenica. In Vlasenica, approximately 80 prominent Serbs were murdered and thrown into a large ditch, some still alive. The Bosnian Muslims were responsible for many of these murders of Serbs. These Muslims had been prominent figures in the political structure of the region before the war. Before Vidovdan, June 28th, there were mass arrests of Serbs including Serbian schoolchildren/students and taken to Sarajevo. Blazic’s brother Mito was one of those taken. The Serbian Orthodox priest Dragomir Maksijevic had his eyes gouged out, ears cut off, and the skin on his back was peeled off. The Bosnian Muslims were responsible for these killings. Serbian priests and intellectuals were taken to Caprag. Dragoljub, 22, and Hrista Vuckovic, 65, recalled that in the town of Srebrenica, Muslims were slightly more than Serbs, but that in the entire Srebrenica district, Serbs were the largest group. After the German invasion and occupation of Yugoslavia, three German soldiers on motorcycles had been the first to arrive in Srebrenica. There were no paved roads in Srebrenica, so they soon departed. A small contingent of German troops then arrived a few days later. A Croat military force also came during this same period. Bosnian Muslim leaders welcomed the Nazi/Ustasha occupation forces. A hodza or Muslim cleric welcomed the Croat Ustasha as “our brothers” who brought the Bosnian Muslims “liberation” and “liberty” after 20 years of “oppression” in Yugoslavia. Ismet Bektasevic, a former Bosnian Muslim representative in Yugoslavia was another Muslim who greeted the Ustasha/Nazi forces. In Bratunac, the Bosnian Muslims also greeted the Ustasha forces the same way. Bosnian Muslim Jusuf-Aga Verlasevic, the president of the Bratunac district, welcomed the Ustasha. Croats then took over the civilian control of the region. Croats put up placards that ordered all Serbs to turn over their weapons or face the death penalty. The NDH Ustasha forces then armed the Bosnian Muslim population with military arms and even gave Muslims from the age of 14 years weapons. The Ustasha police was formed in the Srebrenica region made up of Bosnian Muslims. Muhamed Djozic was made the prison warden in Srebrenica. Safet Abdurahmanovic was also placed in the Ustasha administrative hierarchy in Srebrenica. He had been a student at a Turkish school. Muslims were put in control of the entire district along these same lines. As soon as the Bosnian Muslims were armed by the Ustasha, they began to attack the Serbian population of Srebrenica and eastern Bosnia. In Bratunac, the Serbs Vlajko Zaric, Pero Jovanovic, Savo Mladjenovic, and Desimir Delic were imprisoned. They were released after a ransom was extorted. Orthodox priests were locked up, taken to Caprag, then deported to Serbia. Ustasha forces robbed Serbian homes of rings, watches, jewelry, and clothes and shoes were stolen. Serbian women and girls in the Srebrenica region were assaulted and raped. Bosnian Muslim Ibro Pasalic, a member of the Ustasha, was responsible for these attacks. After these attacks, Serbs in the Srebrenica region fled into the forests and began organizing a resistance to the Bosnian Muslim Ustasha forces. Aco Babic from Vlasenica and former Yugoslav Major Jezdimir Dangic from Srebrenica were the main organizers of the resistance. After St. Ilija’s or Elijah’s day, August 2nd, 1941, Serbian guerrillas retook the Srebrenica region. The Muslim Ustasha forces fled to Zvornik. On August 28, 1941, Serbian guerrillas retook Vlasenica which they held until January 15, 1942. This is how matters stood until January, 1942, when a punitive expedition was launched to retake the Srebrenica region from Serbian forces. Serbian guerrilla forces were forced to retreat because of the overwhelming strength of the Axis forces, a combined force of German, Italian, and Croat units. As the Muslim and Croat Ustasha forces retook the region, Serbs were murdered, including Cedomir Marsalek from Bratunac. Serbian guerrillas again retook the Srebrenica region and held it until April, 1942, when the Germans, Italians, and Croats launched the coordinated joint offensive known as Operation Trio to clear the Srebrenica region of Serbian guerrillas. The Serbian forces initially defeated the Black Legion and drove it back outside of Vlasenica. But due to overwhelming superiority in numbers and arms of the German/Italian/Croat/Bosnian Muslim forces, had to retreat. The Serbian population now faced extermination and retaliation for driving out the Croat and Muslim Ustasha forces. The Serbian population of the Srebrenica region fled across the Drina River into Serbia when many Serbian women and children died in the hazardous trek. According to eyewitnesses, all the Muslims in the Srebrenica region joined the Ustasha. The Ustasha forces included Hasan Efendic from Bratunac and his brother Edhem, and Karlo Ekert, a blacksmith from Voljavice. According to the testimony of Ilija Nikolic, who was 42 at that time, a refugee from Srebrenica, the Croats and Muslims sought to exterminate the entire Serbian population that remained in Srebrenica and eastern Bosnia. The following Bosnian Serbs were murdered: Aleksa Laketic, a pensioner and his wife Julka; Djuka Tomic; Momcilo Zekic, who first had his eyes gouged out before being killed by the Ustasha—all from Srebrenica; Filip Ilic lost 17 family members from the village of Podravanje; Sekula Vasic; Ilija Vasic, an invalid and war veteran who had lost an arm; Milovan Jovanovic; Malesko Filipovic was killed with his wife and children; the wife and child of Andrije Tanasijevic from Brezani, who was a forced laborer sent to Germany; Milovan Jokic, a businessman from Srebrenica; and, Stojan Stevanovic. They were all killed with knives and their houses robbed and looted. Serbian houses were then set on fire. The Serbian villages of Podravno, Brezani, and Turija were burned to the ground. In Brezani and Turija, all the remaining Serbs were slaughtered. All the Serbian villages around Bratunac were burned down. These massacres of Bosnian Serb civilians and the robbing, looting, and burning of their houses was carried out by the Croatian Black Legion (Hrvatska Crna Legija). According to Nikolic, however, these forces consisted of Bosnian Muslims. The commander of the Black Legion units in Srebrenica was a Bosnian Muslim with the surname of “Arpadzic”, who had been the tax collector in Srebrenica before the Axis invasion of Yugoslavia. A Bosnian Muslim thus led this genocide of the Serbian population of Srebrenica as the commander of Black Legion units based in Zvornik. Many Serbian civilians and POWs were murdered during the month of April, 1942 when the Black Legion occupied Srebrenica. Serbian civilians in Srebrenica now sought to escape this Croat/Bosnian Muslim genocide against them by fleeing the area. Many Serbian refugees drowned attempting to cross the Drina River into Serbia. Branka Grujicic tried to escape with a child by crossing the Drina in a boat. She was knifed by the Ustasha and they were thrown into the river. Bosnian Muslims Ibro Verlasevic and Hakija Sirucic, a court worker in Srebrenica, were prominent in organizing these attacks against Serbs. Serbs were thus forced to flee to Serbia to escape this genocide in eastern Bosnia. The Ustasha robbed and burned the Serbian villages around Srebrenica: Podravanja, Palez, Dzile, Viogor, Kravica, Turija. In Turija, the entire family of Ilija Tanasijevic from Srebrenica was burned to death in their house. In the summer of 1942, the Ustasha killed everyone in the Serbian village of Dubrovica. A ten year old Serbian refugee from Derventa recounted how Bosnian Muslim troops killed his family. His father had fled the region to escape execution, fleeing to Banja Koviljaca east of Srebrenica for treatment after he was wounded. He and his family had been forced to hide in the forests to escape the massacres. They found a hut in the mountains where they hid from the Bosnian Muslim Ustasha. His family consisted of his mother, two sisters, six year old Milka, four year old Radinka, and his brother, four year old Rajko. Their hiding place was discovered by Bosnian Muslim Ustasha troops. The Muslim Suljo Sandzija, a neighbor whom they had earlier protected and given food and milk to and to his family, had now joined the Ustasha forces. He killed his mother first with a knife, then killed his sister Radinka. Milka tried to escape but was also killed. His brother Rajko was the last to be killed. Sreten was knifed and left for dead but he managed to escape. The Serbian Orthodox priest of Derventa was also killed by Bosnian Muslim Ustasha forces. The Serbian population of eastern Bosnia, in towns such as Srebrenica, Vlasenica, Kravica, and Bratunac, was subjected to a systematic genocide perpetrated by Croat and Bosnian Muslim troops. The Black Legion participated in killing Serbian civilians in eastern Bosnia. This genocide has been covered-up. Nevertheless, the Serbian population of eastern Bosnia was depopulated/decimated and the remaining population traumatized. Jure Francetic was transferred out of The Black Legion following its engagement in the defense of Bugojo in August, 1942. In September, 1942, Francetic accompanied Ante Pavelic when the latter met Adolf Hitler and inspected the Croat 369th Reinforced Infantry Regiment, the Croat Legion (Hrvatska Legija), made up of Croats and Bosnian Muslims, outside of Stalingrad in the USSR. The Black Legion was disbanded by the end of 1942 and the men were integrated into the 5th Ustasha Active Service brigade. Some members became part of Boban’s Battalion, or Bobanova Bojna, commanded by Major Rafael Boban. According to a March 30, 1943 account in the NDH newspaper “Hrvatski Narod”, Jure Francetic headed to Lika from Zagreb on December 22, 1942, to take command of Ustasha and Domobran formations by airplane piloted by Mija Abicic. The aircraft experienced engine failure and had to make an emergency landing in the village of Mocilo near Slunj. This area was occupied by Partisan forces at the time. Francetic ordered the pilot to disable the airplane and to drain it of oil and fuel. They sought to break through the Partisan encirclement by dashing into a forest to reach NDH-controlled territory. Francetic was armed with a machine gun while Abicic had a handgun. Partisan troops rushed to the crash and began shooting at the airplane from 300 meters away. During the ensuing gun battle, Abicic and Francetic were wounded in the stomach. After they ran out of ammunition, the Partisan forces assaulted the aircraft, striking Francetic on his head five times, who was rendered unconscious. Francetic and Abicic were taken to a hospital in the Parish House near Otocac where Francetic died from his wounds on December 27, 1942. Pavelic posthumously decorated Francetic and promoted him to Ustashki Krilnik, an honorary title. Following his death, the NDH regime proclaimed an eight-day period of national mourning. In early April, 1943, two commemorative Roman Catholic masses were held by Croat Roman Catholic priests in his honor. In 1943 a commemorative Jure Francetic stamp was issued by the NDH government. In 1943, the Home Guard and volunteers of the Slunj regiment built a stone monument to Francetic with a cross on top and a wooden plaque on the side. The monument stood for three months when it was destroyed by a Partisan brigade led by Hamdija Pozderac. In 1945, a pamphlet was published in Zagreb that was entitled “Folk Songs about Knight Jure Francetic”. In June, 2000, a new monument to Francetic, modeled on the 1943 monument, was erected in Slunj by Dragutin Hazler, the president of the Slunj branch of the Association of War Veterans. The disastrous military situation in the NDH forced Ante Pavelic to dismiss Marshal Slavko Kvaternik as Minister of the Army in October, 1942 and appointed himself commander in chief of all Croat forces. He chose Lieutenant-Colonel Ivan Prpic as his Chief of Staff. The Germans were alarmed at the deplorable performance of the Croat regular army, Home Guard, and Ustasha forces and decided to establish a permanent German occupation presence in the NDH. The German set up a new command in the NDH led by German Major-General Rudolf Lueters. The systematic genocide committed against the Serbian population of the NDH by Croats and Bosnian Muslims resulted in a mass uprising and a resistance movement that led to a civil war. The Black Legion played a major role in the NDH policy of genocide against the Serbian population to kill a third, deport a third, and convert a third of the Serbian population. The Black Legion systematically massacred Serbian civilians and POWs in Bosnia-Hercegovina and depopulated eastern Bosnia of Serbs. The Black Legion was a fanatical and ruthless and terrorist Ustasha formation that functioned as part of the German military occupation of the NDH. Without German command and control as part of the German military occupation forces in the NDH, The Black Legion was militarily worthless against Serbian guerrilla forces and the one time The Black Legion fought Serbian guerrillas in 1942 outside of Vlasenica, it was defeated. Indeed, once German troops withdrew from Croatia and Bosnia-Hercegovina, the NDH regime and the Ustasha forces collapsed. The Black Legion, made up of Croats and Bosnian Muslims, committed genocide, crimes against humanity, and war crimes against the Serbian population of Bosnia-Hercegovina. This history has been covered up and suppressed.